This has the internet all ablaze today. 15 years newer. 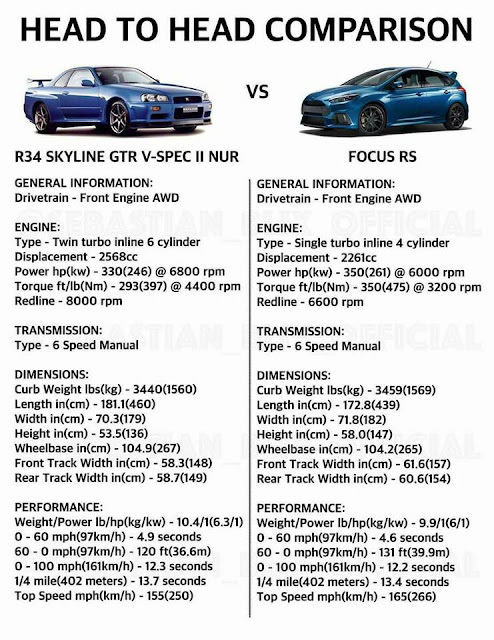 We think the HP might be a little high on the R34, the weight low. The 1/4 mile time low, they will do low 13's. Top Speed is about right, they are a aerodynamic brick stock. 8000 rpm for the RB26 vs 6600 for the Ecoboost 4 cylinder. The inline 6 will always be smoother and sound better. You spent 15 years and markup to see my tail lights.